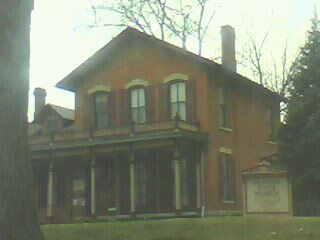 The Granger Museum House is known to be haunted because you can see a woman in white at midnight in the front window and sometimes if you look into the windows and take pictures you can see a little boy peeking around the corner. Folks, the Granger House is NOT haunted! In the past 40 years of operation, no one has ever reported anything strange or unusual at the house. The closest thing to scary we have is the occasional bat that finds its way inside. Besides, it would be very difficult for anyone to see faces in windows at the house since they are covered with shades!